First of all excuse the appearance–Wordpress apparently decided to do a makeover on its own. And I don’t have time to deal with this at present. I haven’t seen anyone note this but I think it’s so cool that this conference is taking place in a town named Olympia. It sounds like an interesting place. There are a lot of things I could be writing about here, like how an ancient Irish goddess has been blamed by a Neopagan blogger for America’s attack on a country that had nothing to do with 9/11 (and if you don’t know what I’m talking about I will spare you the details) but here’s something more important. A local frontline on the real war against our planet is the attempt by the University of California regents to sell off the last remaining farmland in the Berkeley area. At present there are 20 acres left out of an original 100 of an old farm known as the Gill Tract, which was acquired many decades ago by the University. There is a wonderful community organic farm there, producing incredible produce and herbs. Nothing like a bit of gardening and then picking kale and chard and going home and cooking it up! There are also groves and a seasonal creek(s), providing a wildlife sanctuary, which harbors a flock of wild turkeys, something you don’t often see in an urban area. Unfortunately, the adjoining field has been fenced off, and over 50 trees cut down and uprooted earlier in the year; now this area is to be bulldozed and developed for a corporate supermarket and expensive elderly housing. The group Occupy The Farm is protesting this and putting up defense. Privatization is driving this, so yet another attempt to destroy one small remaining commons that really feels like an oasis. An adjoining tract is being run as a GMO testing site. The contrast between the two is startling, to say the least. Through the past half-century, the defunding of the University of California has gone hand in hand with increased corporate funding. This has shifted research and education away from the interests of the public towards the interests of private corporations. The history of the Gill Tract Farm is an emblematic case study of this shift. The late 1990s saw the final stage in the dismantling of the Biological Control Research Station, a pioneer in integrated pest management, as well as an unprecedented donation to the College of Natural Resources from the biotech-company, Novartis. Today, much of the land is used for corn genetics research for patents, and is under threat of privatized development into a green-washed corporate supermarket. View of the farm looking toward Albany Hill. 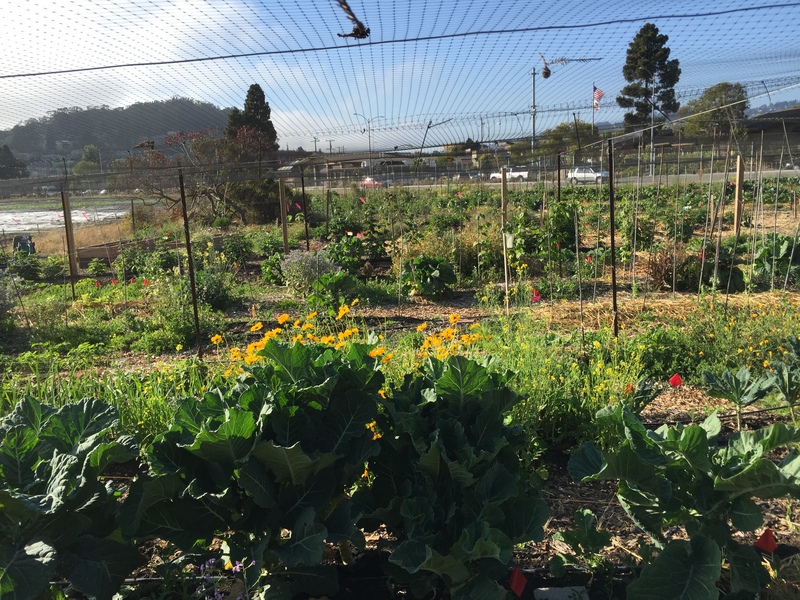 In an era of increasing drought, climate change, and hunger, the Gill Tract Farm provides a rare resource for urban agriculture, a living museum of the long history of the East Bay, and an irreplaceable habitat and resource for building resilient communities. The Gill Tract is the last remaining 20 acre piece of historic farmland in the now densely populated East Bay. 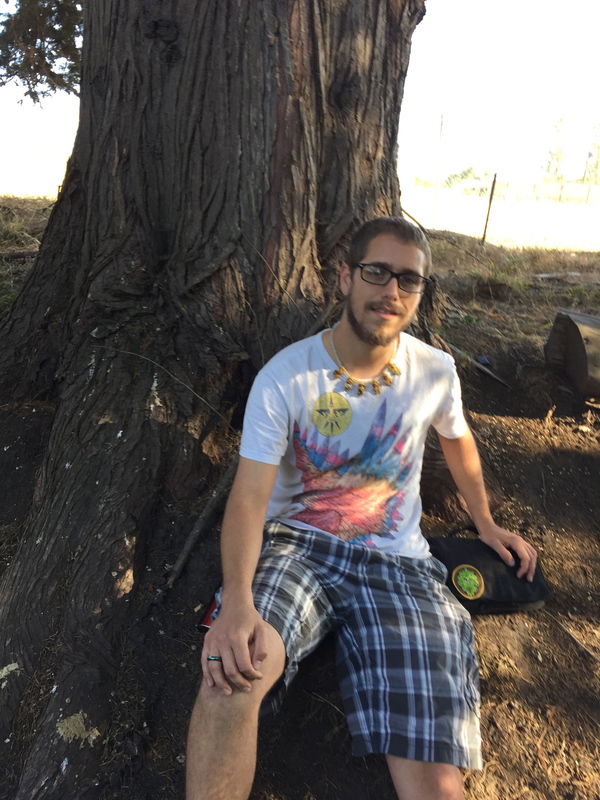 Until Spanish colonization, this land was stewarded by the Ohlone people, and today we attempt to honor this legacy by connecting with local indigenous communities, and respecting traditional indigenous agricultural knowledge. For centuries, the land has been fed by the rising and receding of three creeks, creating rich soil and habitat for diverse ecosystems. The UC’s proposed paving of this land does not responsibly steward this irreplaceable resource that they hold in the public trust. 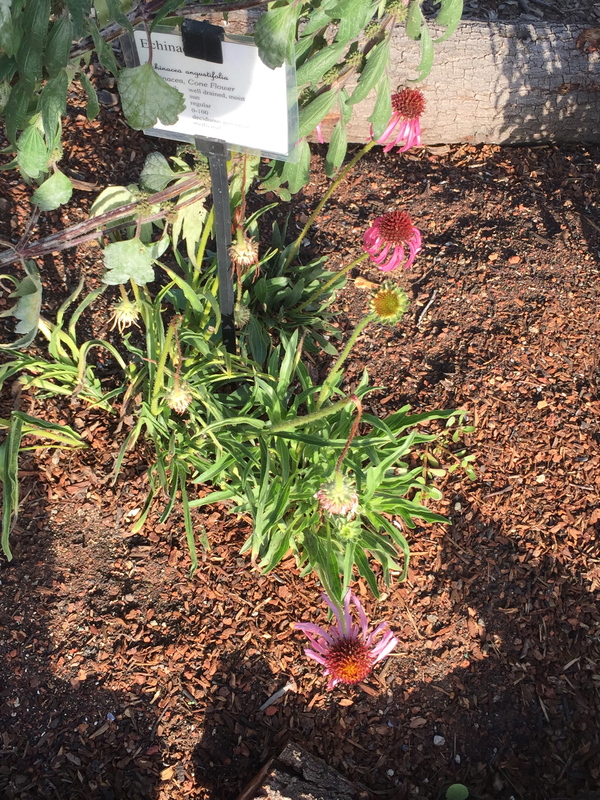 Echinacea in the herb garden. 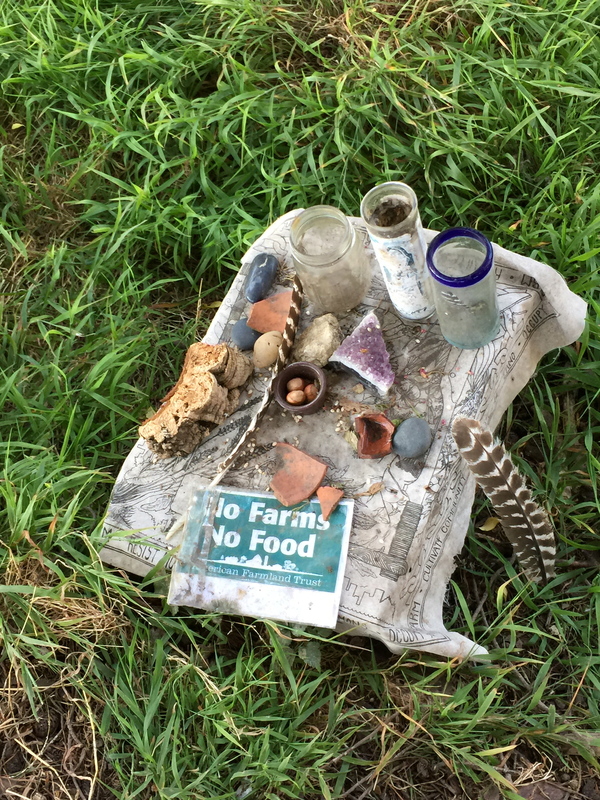 Local Druid activist Treviños Rios is doing magical and ritual work bringing the unseen into the actions here to save the farm and its adjoining lands. We did ritual a while ago and the response was strong and obvious. This is a perfect example of how building relationships with the local spirits and calling the attention to appropriate deities adds another important dimension to activist defenses. I believe these kind of local commitments are what we need to do as pagans and polytheists.